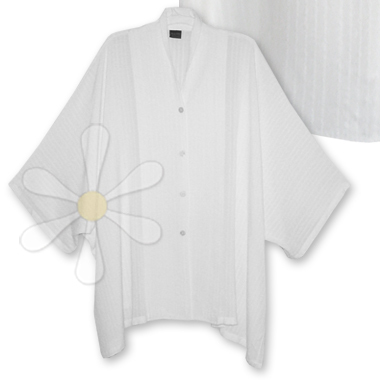 MOROCCAN COTTON OVERSIZED OVER-SHIRT IN WOVEN TEXTURED STRIPES! Just one in stock... our new flowy button-front top/over-top in white shadow bouclé -- raised woven stripes -- is the very definition of YUM! For measurements and description details see our MEDINAH main page.